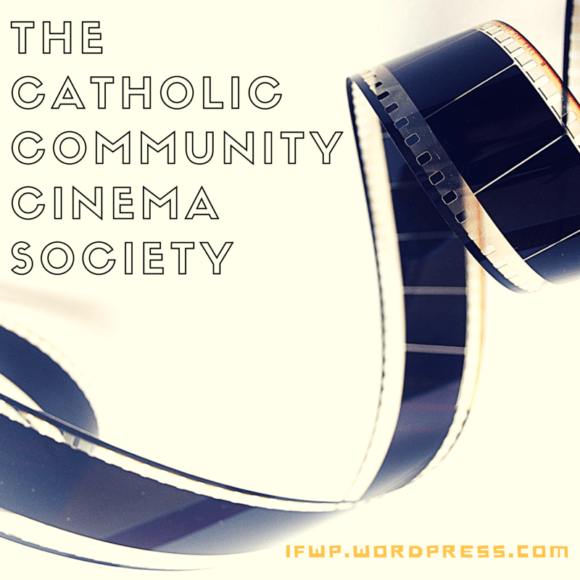 Up next, for our second movie in the new and exciting Catholic Community Cinema Society, we picked The Shawshank Redemption! The Shawshank Redemption is more than a movie – it’s a work of art: man’s ultimate search for meaning is the canvas; hope the medium. Though I admit I had forgotten about the prevalence of crude language and rough prison scenes (definitely not one to watch with young kids), watching Shawshank again after many years stirred up all the same deep feelings about life, suffering, desperation, hope and redemption – feelings so deep there are hardly any words to fully express how I feel when I watch this movie. Bear with me while I at least attempt to put some of those deep “wordless” thoughts into something like words. When I think of this movie, I immediately think of my husband. I remember this was one of his first “favorite things” that he shared with me. I think I had watched it once before but watching it with him again after we started dating gave me a special glimpse into the interior of my husband’s mind and heart. For all the good he saw in Shawshank, I also saw in him and knew he was an honorable man of integrity, respect, and true justice. …It shows how, despite drastic odds, people in prison who seemingly have no chance at a normal life ever again or who have maybe committed the worst of crimes – that they are still human beings. Andy: Get busy living or get busy dying. My husband knows there’s something more to this movie than an innocent man and his inmates stuck in jail, something deeper beyond words. He knows the underlying meaning is about the power of hope within man – something greater than himself…that theme is played out throughout whole movie, nothing can take that away from a man…if they do, they take your life and there’s nothing left after that. In the midst of all the bad, hope still rises to the top. Like my wise husband, I too latched onto Hope in this movie. It’s also a movie about finding meaning in suffering (I know that theme keeps popping up with me!). I’m slowly musing my way through Viktor Frankl’s Man’s Search for Meaning, a psychological “analysis”, if you will, behind the psychology of the concentration camp victims from his own personal experience and those he observed. I picked up on many parallels between Frankl’s psychological observations of the concentration camp victims and the inmates at Shawshank. Like Andy, Viktor too discovered the secret of surviving in “captivity”. The consciousness of one’s inner value is anchored in higher, more spiritual things, and cannot be shaken by camp life. Everything can be taken from a man but one thing: the last of the human freedoms – to choose one’s attitude in any given set of circumstances, to choose one’s own way. …there are places in this world that aren’t made out of stone. That there’s something inside… that they can’t get to, that they can’t touch. That’s yours. The movie is honest. It is not cheesy or censored or saccharine. It has real characters that make real choices and face real consequences. A really good Catholic Christian movie happens when the vines of goodness, beauty, and truth intertwine with the grinding harshness of suffering, desperation, and injustice – and the good triumphs. There are so many good and solid Catholic values and teachings woven into the movie concerning the dignity of life and the right treatment of prisoners. Though fictional, Shawshank offers a poignant exhibition of that time period’s (1940’s – 1960’s) prevailing attitude towards criminals and “social outcasts”. Though I’d like to say attitudes and mindsets have improved significantly since that time, I know that would be more than a little naive. Although, one thing I did notice: even though treatment towards the prisoners by the warden and guards may have looked worse than we might see (on paper) nowadays, I was almost wistful for the old-school-boy friendships of Red and Andy and of characters like Brooks. Though I haven’t spent much time in modern prisons (not any actually), I’d be highly shocked to find any type of friendships among inmates like that, unless there was something in it for them when they got out. On the United States Conference of Catholic Bishops page for the document of Responsibility, Rehabilitation, And Restoration: A Catholic Perspective On Crime And Criminal Justice, the Bishops take a strong stance in defense of the rights of every human being – including those who have committed crimes, even against their own fellow humans. It is time for a new national dialogue on crime and corrections, justice and mercy, responsibility and treatment. As Catholics, we need to ask the following: How can we restore our respect for law and life? How can we protect and rebuild communities, confront crime without vengeance, and defend life without taking life? These questions challenge us as pastors and as teachers of the Gospel. We are still a long way from the time when our conscience can be certain of having done everything possible to prevent crime and to control it effectively so that it no longer does harm and, at the same time, to offer to those who commit crimes a way of redeeming themselves and making a positive return to society. If all those in some way involved in the problem tried to . . . develop this line of thought, perhaps humanity as a whole could take a great step forward in creating a more serene and peaceful society. Lastly, if you don’t love the movie for all the reasons I’ve tried explaining, love it for the music. Andy: That’s the beauty of music. They can’t get that from you… Haven’t you ever felt that way about music? If you’re feeling hopeless and desperate about your life or current situation, let the Shawshank Soundtrack (and other Thomas Newman masterpieces) breathe into your ears and seep into you soul. Great write-up! I love all the outside sources you brought in to get at the big picture! I also really liked all the Steve thoughts. 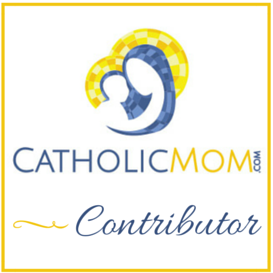 Previous Post A Catholic Mom’s Prayer Companion Book #Giveaway!